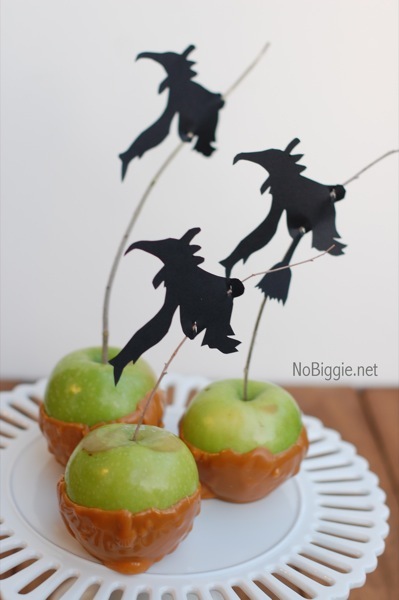 Kammie has some great free Halloween templates on her site and used the witch to create these caramel apples. Hands down one of my favorite Halloween ideas so far this year. Witches riding on caramel apple sticks! So perfect! 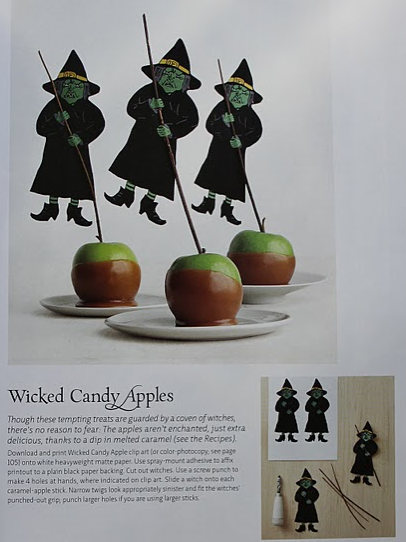 And even cuter than the witch on a stick wicked candy apples in this years Martha Stewart Halloween magazine. Get your free witch template over at No Biggie and if you want to see one of my other favorite Halloween finds, also witch themed, check out these cute Halloween Sand Witches. I do love cute Halloween witch ideas. OMG these are adorable! Hope you're well honey! Have a wonderful day honey! I hope you can enter my 2 year blogoversary giveaway! It's fabulous!